Honeywell PVU100 1" Universal Connection SuperVent. 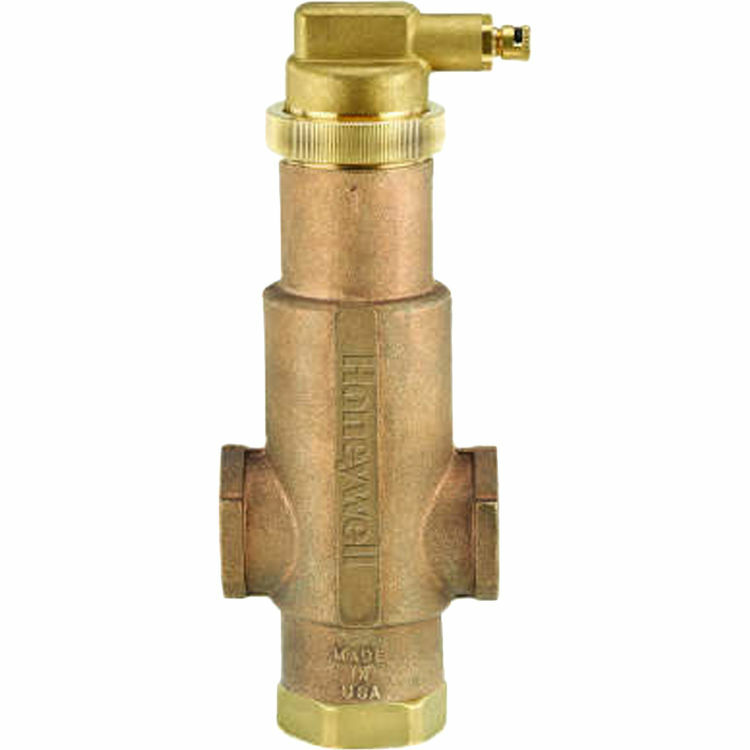 The Honeywell SuperVent, purges air through a no clog vent assembly, to control dirt and debris and minimize air vent fouling in Hydronic heating systems, while eliminating the need for bleeding. 360 degree adjustable collar ring for installation flexibility. Stainless steel concentrator which eliminates gurgling noise. Bronze body for rigid construction.